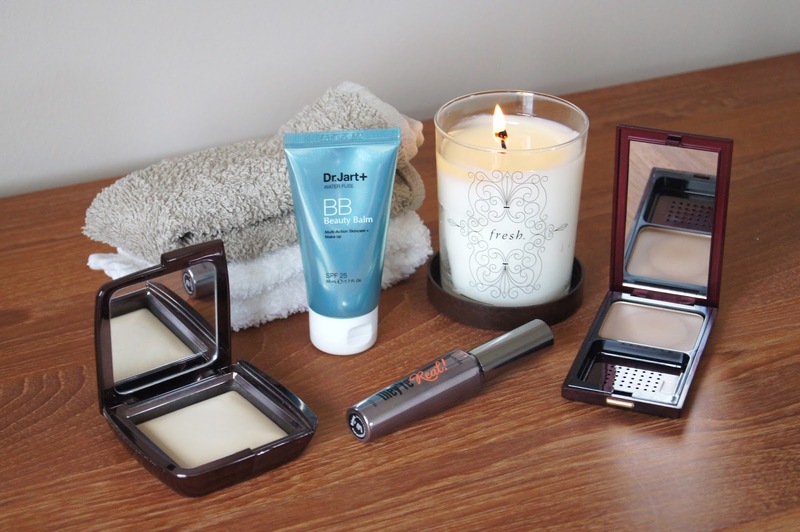 This time round, my monthly favourites are pretty makeup heavy. There are a couple of products in there that I've had in my to-try pile for a while, but have only just got round to opening and consistently using. I'm sad to see August pass us by, as the weather will only head in a downwards spiral now, but the start of September is always welcome, as I adore Autumn/Winter. Plus, my birthday is less than a week away! I digress. Let's get back to business, shall we? Powder is one product that I always have in my makeup bag. No matter what, I always dust a light layer through the centre of my face, avoiding my cheeks, to alleviate any unflattering shine. I do want a radiant glow, but in order for my makeup to last as long as possible, powder is necessary for my combination skin type. As a result, I've bought numerous, pressed powders, searching to find one that sets my base in place, whilst keeping a natural, healthy look to my complexion. Need I look any further? 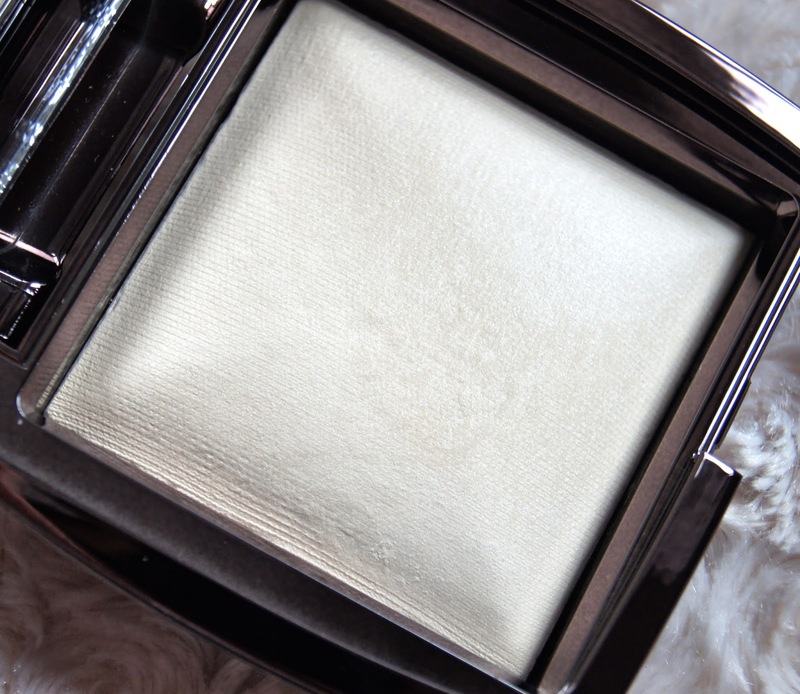 Not now that I've found the Hourglass Ambient Lighting Powders. I know, I know; I'm extra, extra, fashionably late to the celebration party for this one. There are a total of six shades within the Ambient Lighting Powder set, ranging from very light tones, through to warmer, richer shades. Depending on your skin tone, some will look better as an all-over, illuminating powder and some will work best as a more intense highlighter for specific areas. I chose Diffused Light, to use over my entire face. This is a warm, pale-yellow shade that reduces redness and evens out the skin, to give a flawless finish. Sets my makeup? Check. Doesn't leave my skin looking dry and cakey? Check. Adds a perfecting, radiant glow? Check. Yes, for a powder, this really does it all. Texture wise, the formula is smooth and buttery, blending with ease. Of course, to add such a radiance, the powder does have to contain some shimmer. Don't be scared, though. 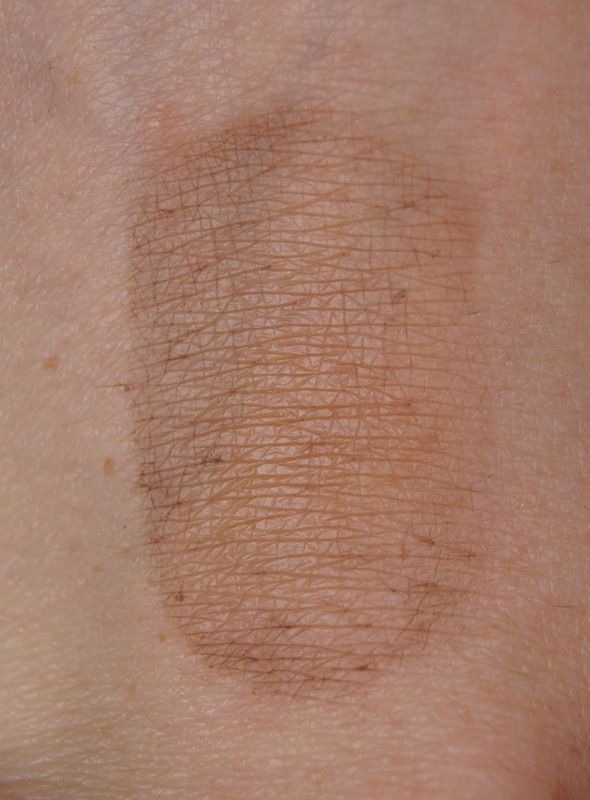 The powder is so finely milled that the shimmer doesn't look at all harsh or obvious on the skin. I'd avoid wearing this powder if I was expecting to be photographed, as I'm always wary of flashback with products like this. Better to steer clear and play it safe, I think. Fragrance free, it shouldn't aggravate sensitive skin or breakouts and it hasn't caused me any problems. Now, we all know that Hourglass products don't come cheap and handing over £38 for this powder, did make my eyes water slightly. But, I can't stress how beautiful this leaves the skin looking. When paying that much, you'd expect the packaging to exude luxury and this certainly does. Although, it's quite lightweight, which I wasn't expecting, making it feel less expensive. Good for carrying around with you, though. Let's get this straight, for me, all BB, CC, DD, or whatever other creams will eventually creep out of the woodwork, fall under the same beauty bracket of glorified tinted-moisturisers. I've been left with a bitter taste in my mouth from a lot of them, usually disappointed with their inability to live up to their vast array of claims. 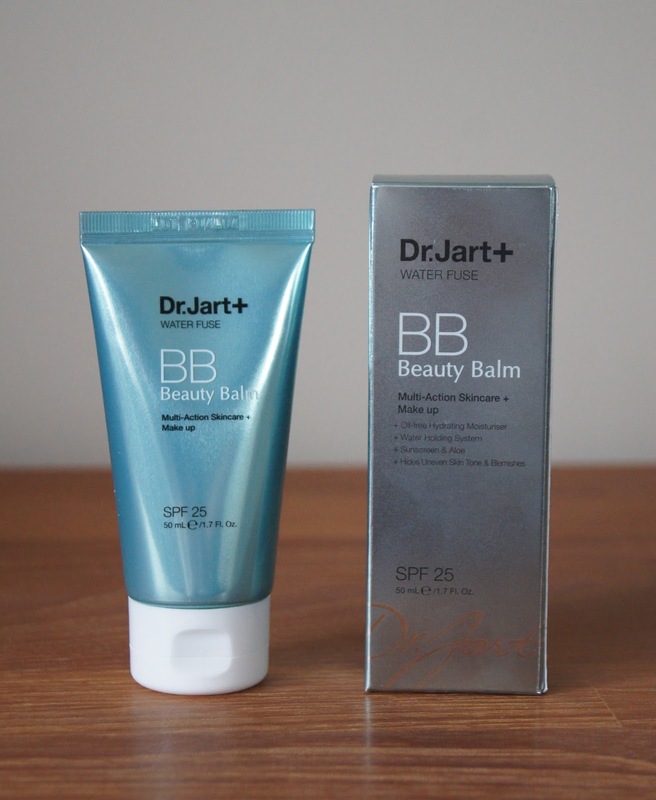 There are a few that have gained my seal of approval, though and the Dr Jart+ Water Fuse Beauty Balm tops the list. 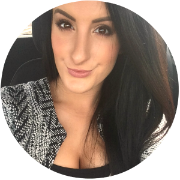 This is another product that has received a lot of coverage and gained a loyal following from a bevy of beauty blogger babes. It's good, it's really good. I often struggle to find tinted moisturisers that are a suitable colour match for my skin. Some that I've tried are just full-on orange, even when I'm dosed up on fake tan. This Dr Jart offering, however, is just perfect. Don't be fooled, that grey tone will work with your skin and adapt to it. Not only is it a realistic shade for us fair to medium skinned ladies, but the oil-free formula totally floats my boat. It's light, hydrating and gives the skin a beautiful glow, without looking greasy on my combination skin. If you have very oily skin or enlarged pores, I'd suggest either popping on a primer underneath or using a touch of powder to set everything in place. But, I don't find it to drown my skin or slip off halfway through the day, like other culprits. Naming no names, yet. With a tiny sweep of powder on my nose, chin and forehead, this lasts all day and remains looking fresh and radiant. 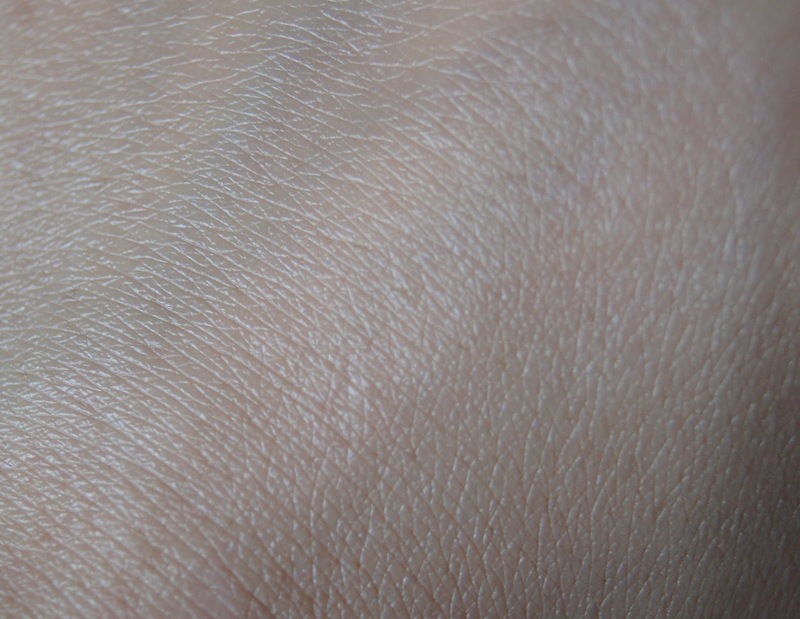 When my skin is on the drier side, it doesn't cling to any flakey patches, but smooths them out. 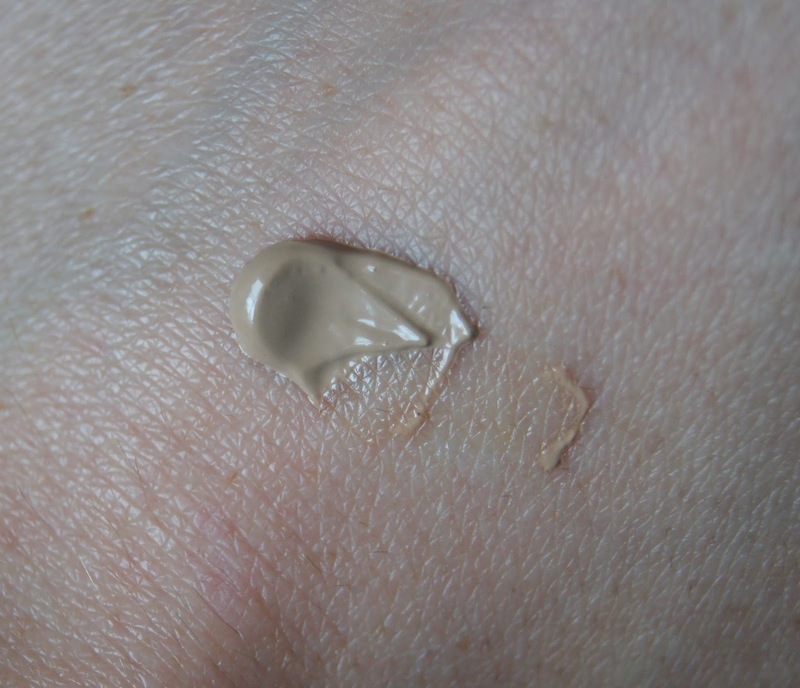 For a tinted moisturiser, the coverage is decent, with any redness significantly reduced and blemishes needing only a tiny dab of extra concealer. Being a BB cream, there's the obligatory SPF in there, which takes the hassle out of applying a separate sunscreen. Initially, it does have a strong, cucumber scent to it, but this soon disappears once applied. For a worthy £18, in my opinion, you get a generous 50ml per tube, which is more than a standard sized bottle of foundation and I find I need far less of this, for a whole face application. The packaging is quite easy on the eye and is nice and small, too. When Summer hits, my bottles of faux glow are stored away, as I strive to achieve a natural, sun-kissed colour (staying safe with lashings of SPF, may I add!). In order to have complete continuity between my face and body, I avoid contouring my cheekbones with anything too orange toned, but I have to have something to do the job. No, I can't go without a contour, I'm just too hollow-hungry nowadays! Fortunately, Kevyn Aucoin's Sculpting Powder saves the day. Instead of being too terracotta, this contouring product has more of an ashy, brown-grey colour to it, which gives a natural, shadowy effect. It's still warming, but doesn't leave you looking like an oopah-loompah. In the pan, the shade doesn't look as though it would be very effective, but it allows you to create some subtle definition, that can be built up to look stronger, if you wish. It's impossible to be left with a harsh, unblended line across your cheek, with this one. 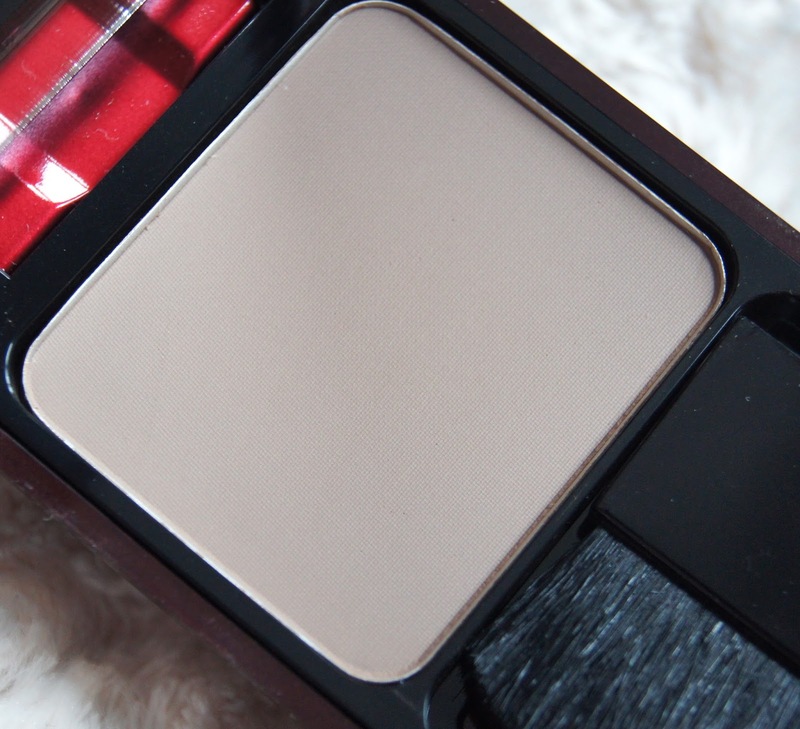 Struggling to find a contour shade that suits a paler skin tone? I'd highly recommend checking this out for yourself. The powder isn't the softest, but it blends, it doesn't look dry on the skin and it doesn't kick up a load of excess when you swirl a brush through it. I do like the packaging of the Sculpting Powder: the colour, the shape and the mirror. Personally, I always scrap the accompanying brushes that come with makeup products, as they're usually crap quality and I prefer to use my own. The same applies with the brush here, which means that the compact could be smaller, or ideally, we could get more than a measly 6.5g of product, for our dollar - hint, hint, Kev. I can imagine your confusion as to why a boring, mundane item like a face cloth is featuring in my monthly favourites. It may be less of a glamourous item, but it's probably one of my favourite favourites, possibly of all time. BIG STATEMENT. For years, I've always used muslin cloths to remove the majority of my cleansers, both AM and PM. Not only do they remove products easily, they add a gentle, exfoliation element to your daily, skincare routine. I had no complaints and was happy to use them, up until around two weeks ago. On a spontaneous, flying visit to Manchester, I packed my toiletry bag in a mad dash and of course, forgot my cleansing cloth staple. Fortunately, my friend came to the rescue and offered me a flannel washcloth, instead. Of course I said yes, but I fully expected my skin to be left annoyed, after going without its usual, daily buffing. How wrong could I be? Very. Not only did the washcloth feel ten times more gentle on my face, but it made light work of a couple of dry patches that I'd been struggling with for over a week, thanks to a very cold, windy day at a theme park. I was blown away, which I realise sounds ridiculous and over-the-top. But afterwards, the rest of my skincare lineup went on like a dream. Even my makeup settled onto my skin better than it had in months and still continues to do so. For the latter half of August, in such a short space of time, I've had more compliments on my skin than I have in my entire life. And I mean compliments on how good my skin looks, not how good my foundation looks, which is what everyone wants. Cheap and cheerful, I picked up my cloths for under £1 and you can add them to your basket at the same time as doing your weekly food shop. 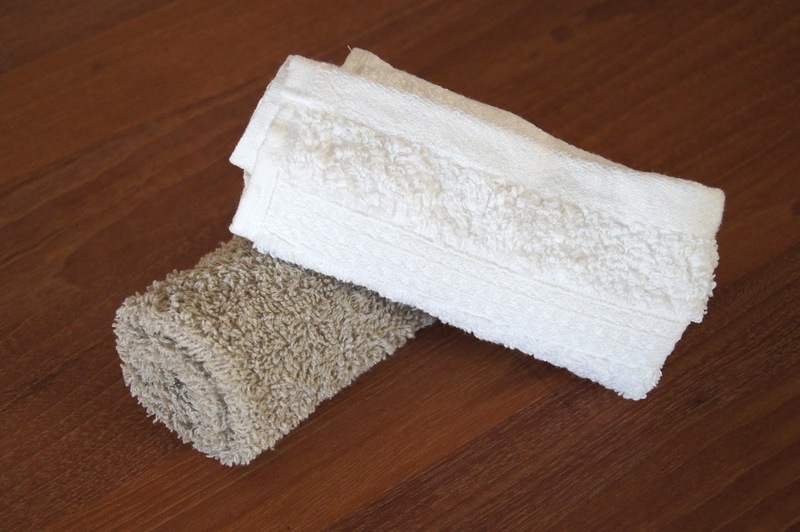 This simple change of cleansing cloth has made the most noticeable different to my skin in a long time and is definitely a game-changer for me. I genuinely never thought I'd enthuse quite so much about a piece of material, ever. All year round, there's at least one candle making an appearance on my desk. Depending on the season, the fragrance changes and during the Summer, I adore fresher, zingy scents. When I visited New York a couple of months ago, I picked up the Fresh Citron De Vigne Candle and I finally got around to burning it, during August. Better late than never, eh? As I'm not the best when it comes to working out the individual, fragrance elements of a scent, I popped over to the Fresh website to cheekily look at their dissected description. They describe this candle as containing a, 'sparkling blend of citrus notes and a pinot noir accord that fills the room with the essence of champagne'. It's spot on. I'm not always a fan of citrus scents, but this one seems warmer and has more of a depth to it, than most. Invigorating, yet soothing, there's definitely hints of orange and grapefruit in there, but it's not overpowering or too acidic. I get what they mean when they talk about champagne; it has a bubbly feel to it and never fails to lift my mood. Even without burning the candle, the zesty fragrance envelopes the entire room and leaves it smelling amazing. The candle burns down evenly and doesn't give me a headache, like cheaper, scented candles tend to do. When it comes to candle packaging, the simpler, the better. The clear glass, adorned with the beautiful, ornate pattern is so chic and looks gorgeous on display. The addition of a lid keeps the surface of the candle clean and when burning, it protects any surfaces underneath. I'll definitely be cleaning the glass out and using it in some way, once it's finished. Sold at $50 in the US, that translates to £32, ish. 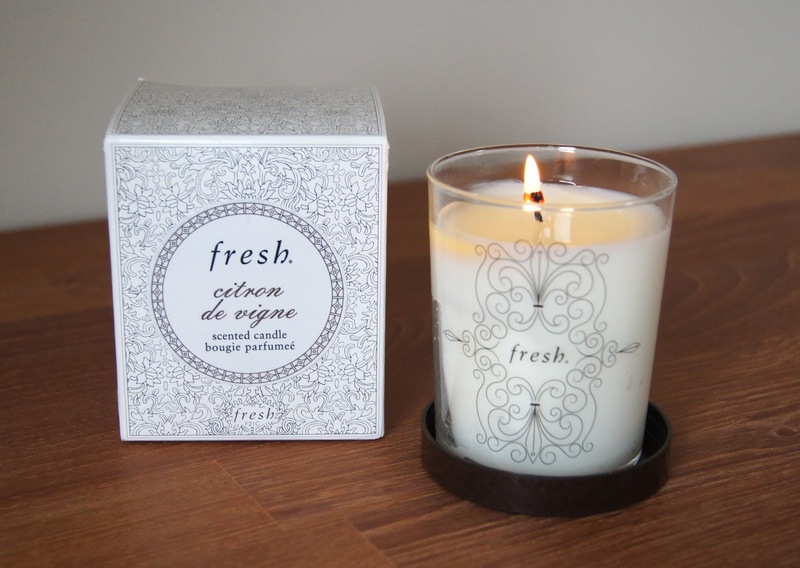 All Fresh products, especially their candles, are a total splurge, but I couldn't resist taking it home with me. If you can hunt a Fresh store down or are near anywhere that stocks the brand, you should go and give their products a sniff; it's like heaven! Without blowing my own trumpet too much, I think I'm quite lucky with my eyelashes. They're fairly long and thick and have a natural curl to them, so I never have to try too hard to achieve my desired result, with most mascaras. When Benefit's They're Real Mascara was released, I didn't jump for joy or feel ecstatic, because I've been happy with others for so long. Hailed as the best mascara ever by some and as downright disappointing by others, I didn't know what to expect when I first tried the UK's number one, best-selling mascara. What a title! Initially, after testing this out a couple of times, I wasn't a fan. They were long, yes, but rather than separate my lashes and add volume, it tended to clump them together and left them looking straight and spidery. After a brief interlude, I thought I'd give it a second chance and it was as if I'd applied an entirely different product. This time, the wand separated every, individual lash and, as Benefit claim, you could mistake my natural lashes, for falsies. I've been sporting it every day since and my above swatches really don't do it justice. Clearly, the formula was too wet when I first opened it, but once it had dried out a bit, it was ideal. It gives my lashes length, volume and holds a curl so well. I know a lot of people were put off by the fact that this mascara has a plastic wand, but I actually prefer them, as I find that they separate my lashes more effectively. I love that this one has bristles at the end of the wand, as you can easily pick up the corner lashes and wing them out to elongate the eyes. The ultra-black formula adds such drama and it remains looking exactly how it did when first applied, without smudging or flaking, until you remove it. But, that means that it's a b**** to get off; even my trusty, oil-based, balm cleansers find it a challenge. You really have to be patient when it comes to removing this mascara, as giving it too much elbow grease will only pull your eye area around, which won't be good wrinkle-wise, in the future. The impressive results outweigh that negative for me and I'll continue to use it. Whilst £19.50 is pricey for a mascara, I will happily pay that again. Considering this is a Benefit product, it lacks their usual, funky, patterned packaging, but I much prefer it looking more grown up. Compared to other mascaras, this one doesn't dry up as quickly and mine is still going strong after a month or two of use. 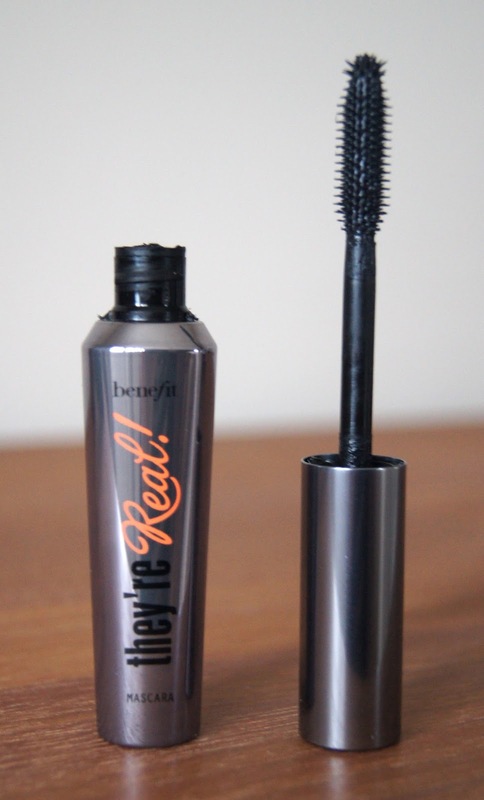 Benefit They're Real is my favourite mascara, I love how it captures all the lashes. Look gorgeous on you too! I hate the removal like you though, almost puts me off wearing it! Thanks, lovely :) Yeah, I wish it wasn't such a pain to take off, it'd be perfect otherwise! Just had a quick look at your blog and I'm loving your September Commandments post!